Obituary – Anderson, Neils Peter « Perry High School Alumni Association, Inc.
– age 18, son of Ben and Sophia Stanley, was born northeast of Perry in May, 1922. He has attended the Perry schools for the past 12 years. He served as vice president of the F.F.A. in 1939 and president of the organization in 1940. He is a member of the 4-H club. He was a member of the basketball squad in 1938. Neils exhibited champion livestock in 1939-40-41. For his hobby he selected horses. He plans to become a farmer after his graduation from Perry High School. Neils Anderson, 79, former Noble County Commissioner for District 3, was the son of Chris Peterson and Sophia Marie (Nelson) Anderson. He was born May 23, 1922 at Perry, OK and died on Friday, February 8, 2002 at his home in Perry. A graduate of Perry High School, he was a life-long resident of the Perry community. 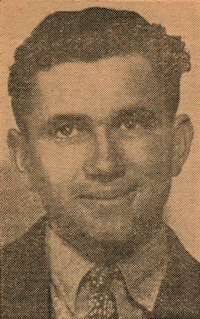 Anderson served in the United States Army from 1942-1946. He and the former Collene Paulsen were married at Newkirk, OK on June 4, 1949. He was owner of Western Tank Trucks from 1957-1974 and was Noble County Commissioner from 1979-1986. A charter member of the Perry Elks Lodge, Anderson also was a member of the 10th Armored Division, Veterans of Foreign Wars, American Legion, FFA Alumni and the Black Angus Association. He was a lifetime member of the Cherokee Strip Historical Society. 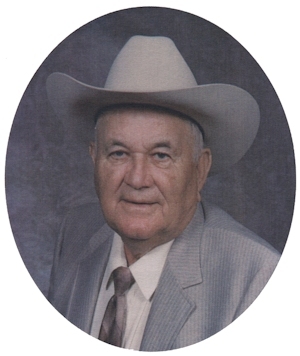 He enjoyed cattle ranching and horse racing. Funeral services will be at 10:30 a.m. Tuesday, February 12, 2002 at St. Rose of Lima Catholic Church with Rev. Kevin Devlin officiating. Burial will be in Grace Hill Cemetery under direction of Brown-Dugger Funeral Home. Memorial contributions may be made to the American Cancer Society or the Oklahoma Medical Research Foundation. In addition to his wife, Collene, survivors are a daughter and son-in-law, Sandy and Jim Soulek, Perry, OK; a grandson, Brent Joseph Soulek, and his fiancée, Casey Langston, Oklahoma City, OK; and a granddaughter, Amy Collene Soulek, Wichita, KS. His parents and one brother preceded him in death.